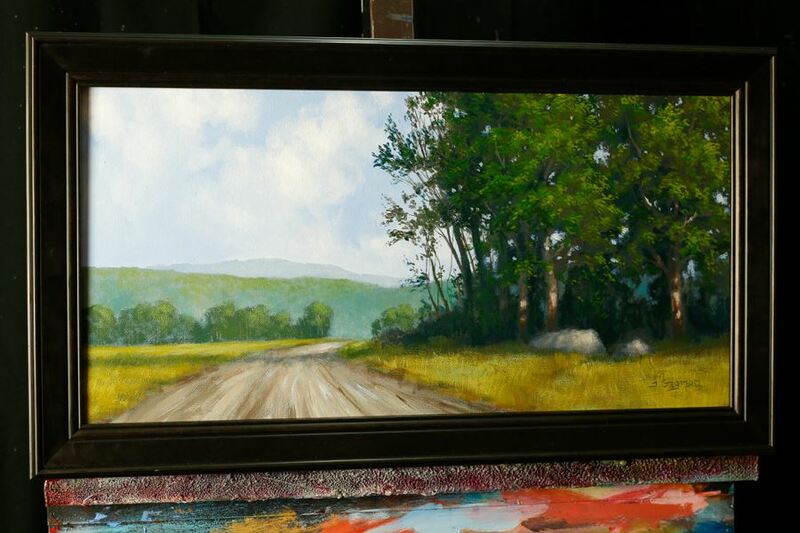 In this acrylic painting lesson I will show you how to create a serene landscape. Learn how to create a one point perspective road, with beautiful trees and hills. I’ll show you how I set up the composition easily with a neutral color. Then we will work from the background to the foreground adding layers upon layers in a direct and easy fashion to create a lot of depth and beautiful color. If you have trouble with greens, this is the lesson for you!